The former General Manager of Corvaglia Closures Eschlikon AG, Franco Bischof, has gone into retirement at the end of 2016. 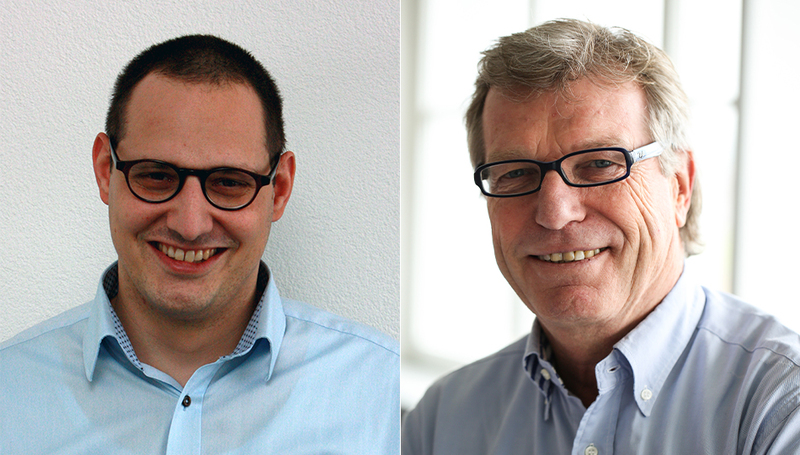 His successor, Reto Graf, has been Manager IT & Controlling at the corvaglia group until now. corvaglia would like to thank Franco Bischof for many successful years and for his great dedication to the company. He managed both Closures plants in Mexico and Switzerland, and played a major role in ensuring that both business segments grew to become successful market players. In 2012, he was elected to the Board of Directors of the corvaglia group. Franco Bischof will retain this position at the company also in future. corvaglia is pleased to have found an internal successor for the position of General Manager. Reto Graf has been part of the corvaglia team since 2013. Thanks to his previous experience, he is already familiar with the key areas of Corvaglia Closures Eschlikon AG. corvaglia wishes him all the best and a great deal of success in this challenging role.